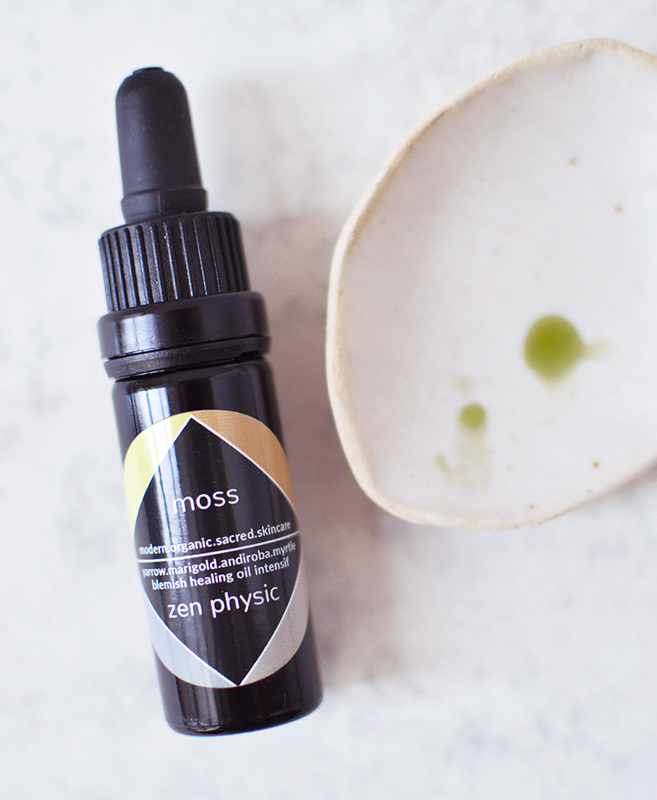 Moss Zen Physic Oil Intensif. After officially using up the very last drop of this potent treatment just last week, I thought it was about time I wrote a full review. After all, I've clearly had the pictures ready to go for ages now, but a part of me didn't want to share, I wanted to keep Zen Physic a secret just a little while longer. Zen Physic is a spot treatment, specifically designed for healing active acne, cystic acne (yes!) and inflammation. It's incredibly potent, containing a whopping 40% essential oils that work to speed healing, fight bacteria, scarring and decrease inflammation. Because of the high concentration of essential oils this really shouldn't be applied all over the skin neat, definitely take note of the spot treating element and apply sparingly. I can't deny it, though, this really works. I purchased my bottle at the end of October last year when my skin was still quite bad and I needed all the help I could get in the healing department for cystic acne. 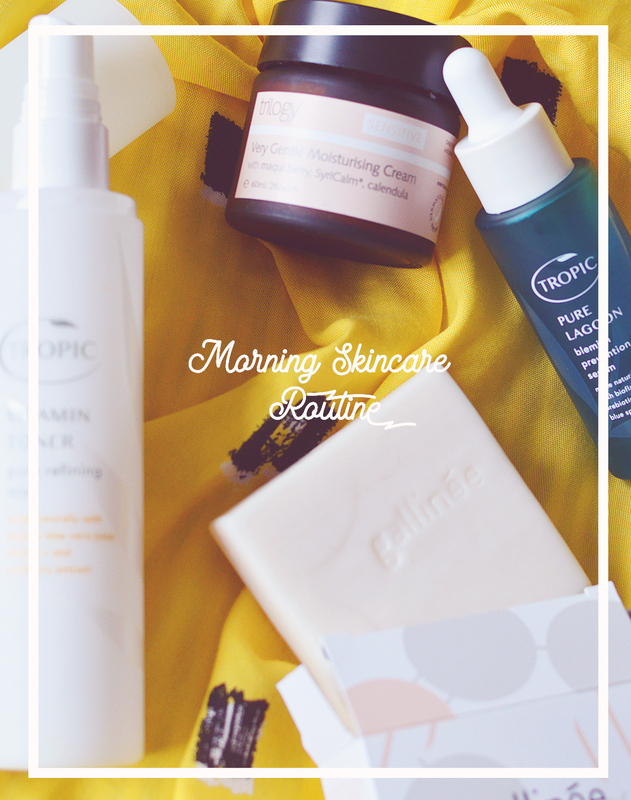 I applied this religiously morning and night on blemishes as the final step in my skincare routine, I would also mix a single drop into my moisturiser or facial oil for further acne-fighting benefits. What I noticed from prolonged use was skin that healed faster, blemishes that didn't scar as deeply and cystic acne that wasn't as painful; the treatment almost had a numbing effect on those suckers that just throbbed whenever you smiled or talked, you know the ones. I also noticed that I had to really remember to keep up with application to notice the best benefits, obviously, if I forgot to use it for a day or two then I would end up with a scar or spot that managed to root itself there for longer, lovely. In the past few months I ended up saving it only for emergencies as I knew it was coming to end, this wouldn't have happened so soon (the 10ml size did go surprisingly far when you're using just a drop at a time) if I hadn't of knocked the bottle over when open TWICE! I probably lost between a quarter and a third of the bottle, ugh. The oil itself feels light and non-greasy thanks to all those essential oils. The carrier oils here are also known to be beneficial for acne prone skin: Andiroba heals and soothes, pracaxi is antiseptic and healing and neem oil is powerfully antibacterial and cooling. The divine bright green colour comes from a mix of blue yarrow and german chamomile combined with the incredible yellow of turmeric. The scent is strong as you would imagine, it's medicinal and herbal and I absolutely loved it, the scent to me implied that the ingredients really are potent and working their magic on my spots. Would I buy this again? Absolutely. My skin is improving lately and I don't feel I need this anymore, I do still get blemishes and it would be nice to have this around to treat them, but as my acne isn't horrific to the point of tears anymore, I don't think I can justify the purchase. 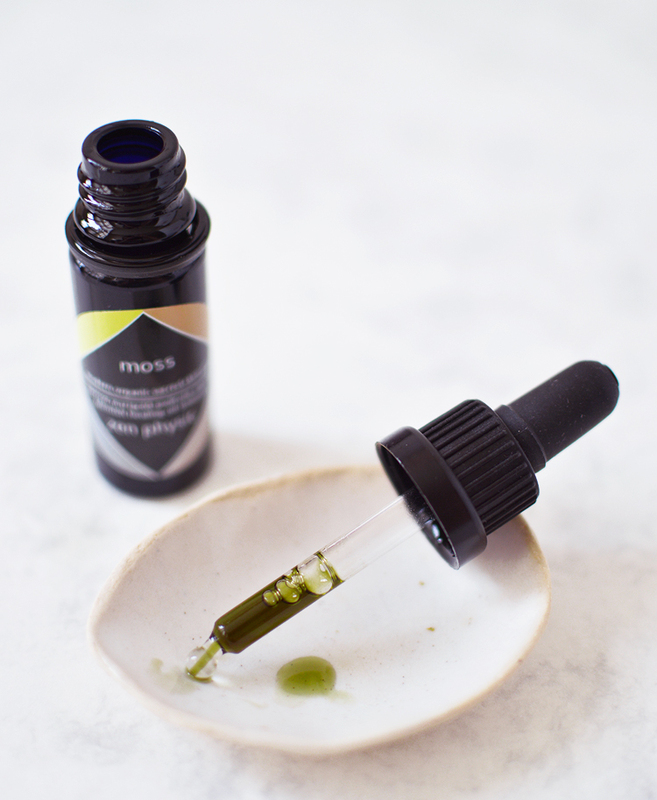 It did help me in my hour of need though and totally solidified my love for moss skincare. Carapa Guaianensis (Andiroba) Seed Oil, Pentaclethra Macroloba (Pracaxi) Seed Oil, Azadirachta Indica (Neem) Oil, Karanja oil, Proprietary Therapeutic Essential Oil blend (Includes Calendula, Yarrow, Lemongrass and more), Curcuma Xanthorrhiza (Javanese Turmeric) Root Supercritical Extract.